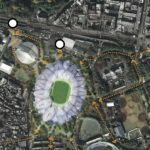 How to design a stadium in such a unique location? How to qualify this new venue? Can we take advantage of this naturalist setting to define its image? 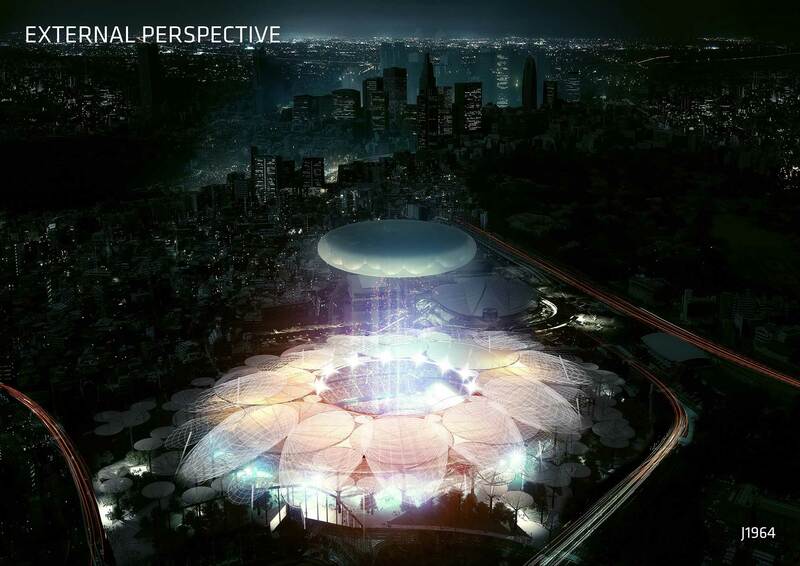 Could the stadium, instead of being a big object plunked in the middle of the Park, be blended into it? Japan National Olympic Stadium was completed in 1958. It was the main venue for the 1964 summer Olympic Games. It is located in central Tokyo in a green area. 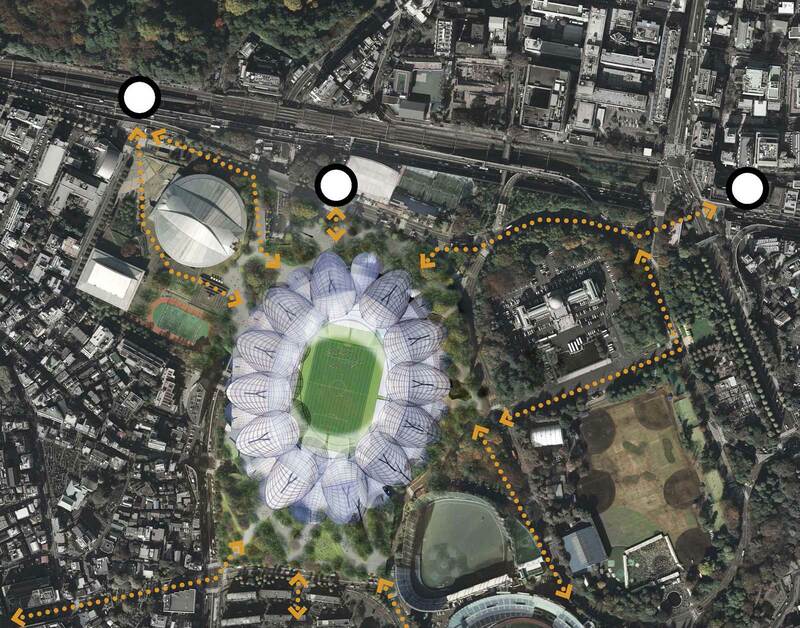 Together with other major sporting facilities, it is surrounded by Shijunku-gyoen, Jingugaien and Akasaka Goyochi Gardens. Japanese people recently hurt by tragic events are surely more sensitive to soft + naturalistic solutions rather than the heroism of Beijing and the dry efficiency of London. The inspiration is nature. 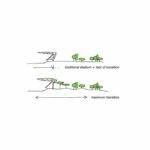 The concept is a metaphoric landscape solution for a stadium in a park; the division between a built environment and nature is blurred by the structure taking a stylised tree-like form and scale. All trees on the site are kept. In amongst them, new artificial trees are taking place, slowly transforming a natural landscape into a built one. Related programs are treated as landscape and nested in small hills and mounds. 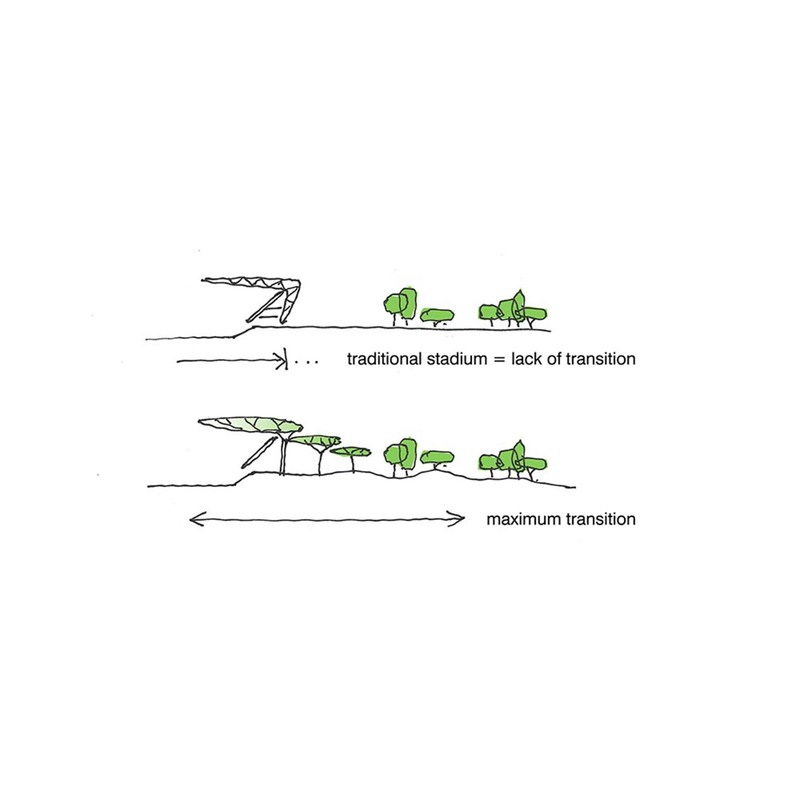 Transition along the arrival procession is a seamless one from landscape into the stadium as the perception of nature and the built environment merger. On approach, the first new “trees” are covered with climbers. 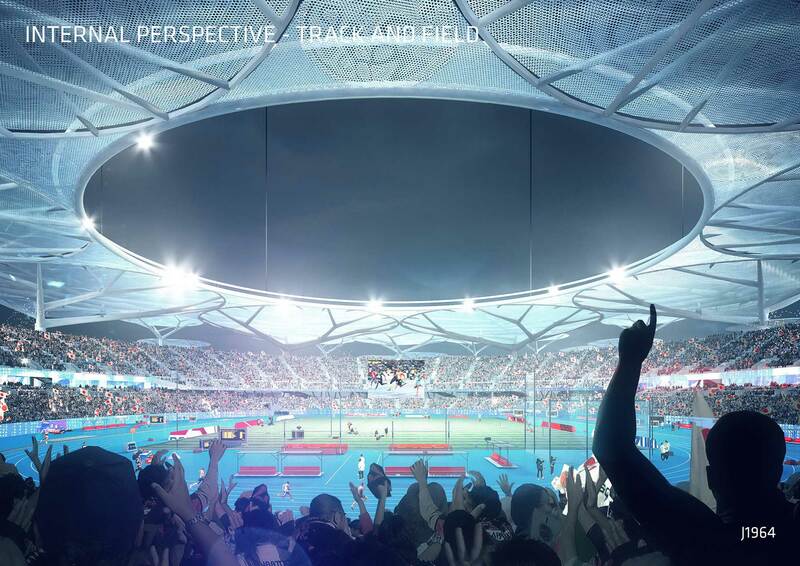 As one get closer to the stadium, they become taller and taller, leaping over the bowl and covering the entire seating. Like a forest, the roof structure starts at a lower level and increases in height as one move further into it much as the tallest trees are found deep in the forest. 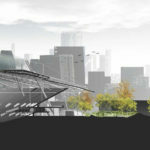 Individual trees are connected structurally to each other to form a self-supporting trunk and branch system to carry the roof. 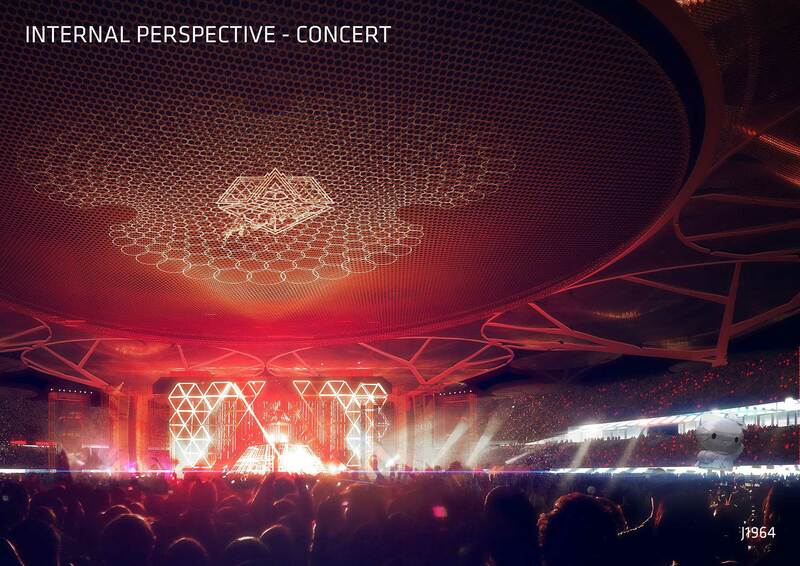 Structural members take their hierarchy from nature as they reach to cover the seating within the bowl. Looking up to the underside of the crown of the tree-like form, one sees structural members through the fabric lining much like the veins of a leaf. As the stadium disappears into the park, a major beacon reminds us its presence. 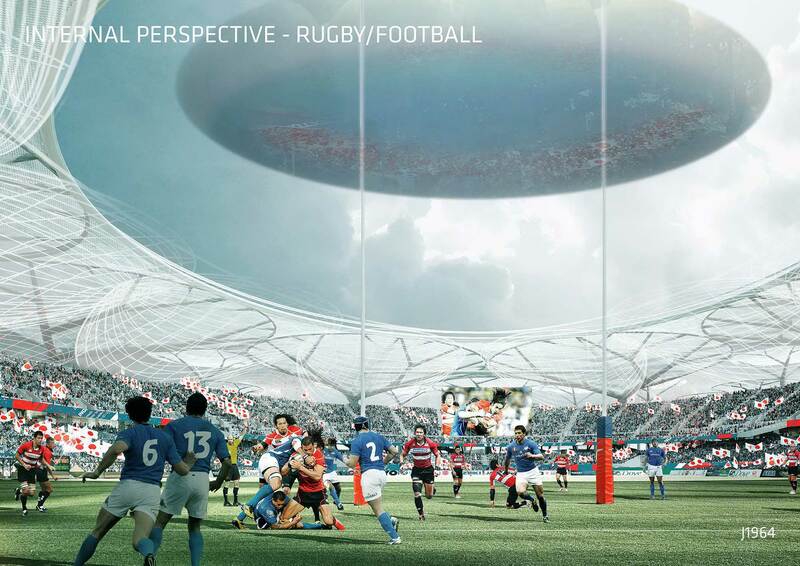 The proposed operable roof is a wonderful floating, helium-filled balloon that is elevated up to 300 metres above the stadium roof in the open position and is retracted to the roof in the closed position. 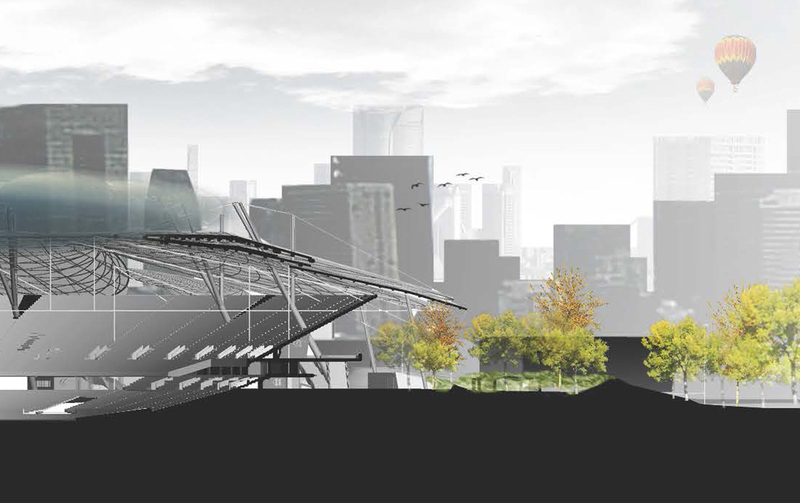 This is an idea Arup Sydney has been developing for a while. 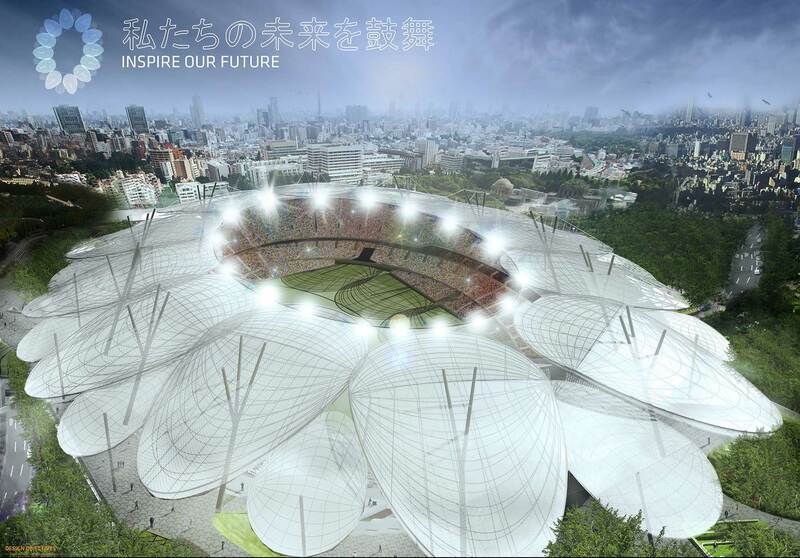 It sits above the stadium as a marker for all to see projecting the occasion of an event to greater Tokyo. Its potential role in the spectacle of major international events is untold; lighting, colour, signage and projection are anticipated. 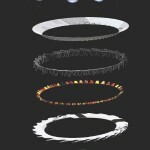 Movement of the balloon up and down during an opening will add drama to the event. 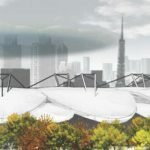 The considerable load placed on stadia roofs by traditional retractable roofs is substantially reduced with a buoyant helium structure. 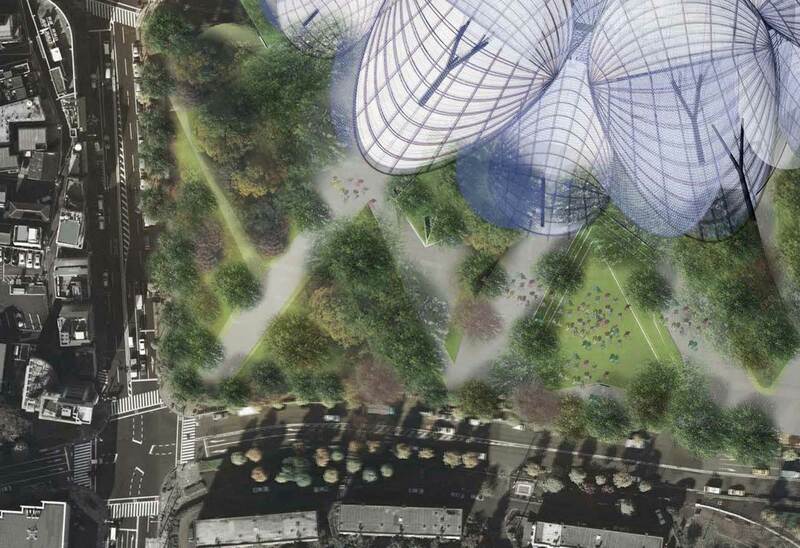 The assembly is a series of 23 metre diameter stainless steel, helium filled balls contained in an ETFE skin. Stainless steel is the most suitable material to prevent helium from escaping as its molecular structure is able to contain very small helium particles. 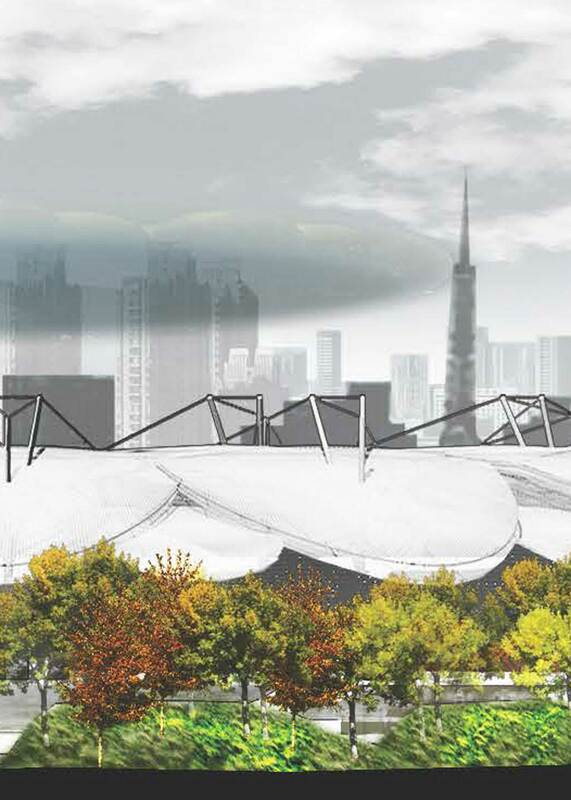 The balloon is attached to the fixed stadium roof with a series of cables and winches. The balloon is winched up and down with conventional crane technology and can be closed in a matter of minutes. It can with stand winds of up to 40 knots which is well within the range for Tokyo. The angle of repose of the balloon in a modest wind is 30 degrees from vertical. In the event of forecast wind or rain the roof is winched closed. Tokyo’s weather pattern is suitable for the balloon to be at full height for approximately 80% of the year which allows good grass growing conditions.